We are breeders of king parrots (previously cockatiels and budgies and hand raised for number of years). We also stock pet supplies on our website below and we’re based in Hawkes Bay. Gloster, Lizard and Roller Canary Breeders. Champion exhibitors and breeders of Gloster, Lizard and Roller Canaries. National Judge of Gloster and Lizard. Grand National held in Napier 2013. Best Current Year Gloster, Oamaru 2010. Best Gloster and Roller 2006, Christchurch and 2008, Timaru. Excess stock from 25 yrs of line breeding is normally available. Secretary of the N.Z. Roller Canary Club and Lizard Canary Society of N.Z. Federation of Bird Clubs yearbook editor and Secretary. N. Z. Federation of Bird Clubs Incorporated. Foreign Finches, Zebra and Bengalese Finches, Hook-beaks, and Lovebirds. the last weekend of July. Affiliated Specialist Societies and Clubs provide closed rings for different species and are colour coded for each year over a 6 year cycle. 2012 Green, 2013 Black, 2014 Red, 2015 Blue, 2016 Purple, 2017 Gold. 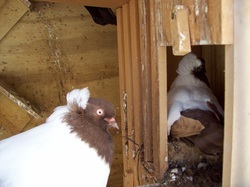 NUNS for sale: Both blk/white and Dun/white mostly very well marked from good stock birds, can deliver between both Islands on Pet Bus at your cost. These birds sell very quickly so get in touch as Im taking orders now . 2. 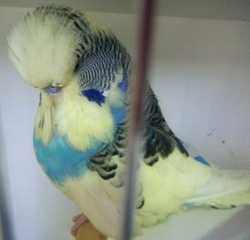 Promoting all varieties of Budgies. 3. Active and educational Facebook page. 4. Informative newsletters via Email or Post. 5. Opportunities to buy quality stock from fellow members. 6. To provide members with Patronage at Shows with accredit Judges. 7. Sale and Supply of current year colour coded closed rings to our members. 8. Expert advice on all aspects of Aviary Management, including Nutrition and Health. PBS (Inc.). We look forward to being a part of your journey with Budgies. The Reputable Stud, since 1974 - Member of NZBS Hall of Fame. Located in Upper Hutt, Manawatu & Wairarapa. Happy to help, birds sometimes available. Patron & Editor for the Pied Budgerigar Society of NZ Incorporated - aka PBS (Inc.). NZs foremost Pigeon Association catering for Fancy Pigeons and Racing Pigeons.